Topaz is the official gemstone of Texas as well as the birthstone for the month of November. This beautiful gemstone is found only among the granite hills and sandy creek beds of Mason County — in the geologic region of the state known as the Llano Uplift. The town of Mason, the county seat, is about an hour’s drive from Fredericksburg in the beautiful Texas Hill Country. Topaz was found in greater abundance in Mason County at the turn of the twentieth century. 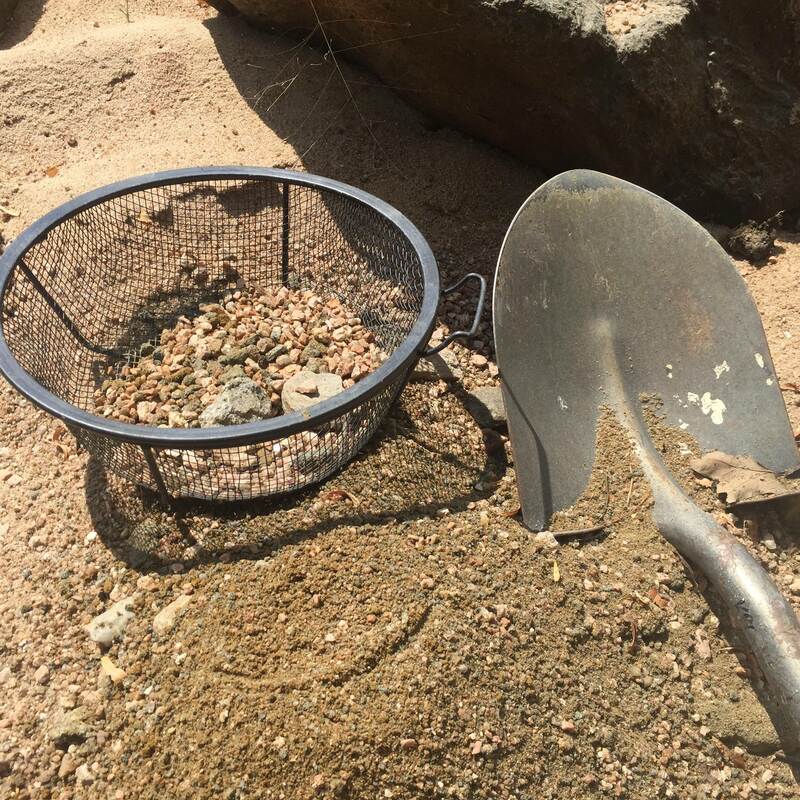 Old-timers speak of stumbling across topaz stones while looking for arrowheads in creek beds. In those days, however, there was a greater demand for arrowheads. Topaz was just another pretty rock. 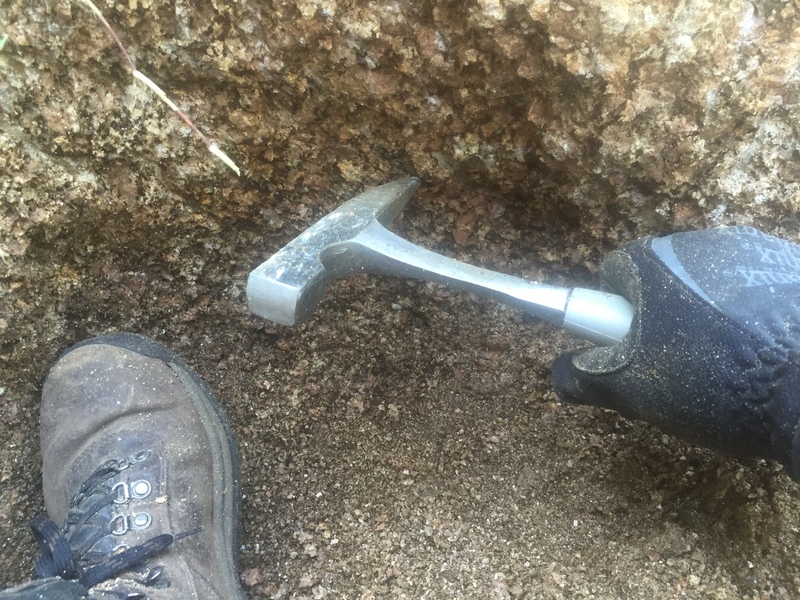 Today, topaz hunters have to look a little harder and dig a little deeper to find this stone. Topaz resembles shards of broken glass or frozen water, thus earning it the nickname “Desert Ice.” Topaz, however, also occurs naturally in a variety of colors including blue, orange, brown, green, beige, and red. A good place to look for topaz is around granite outcroppings in creek beds and ditches. 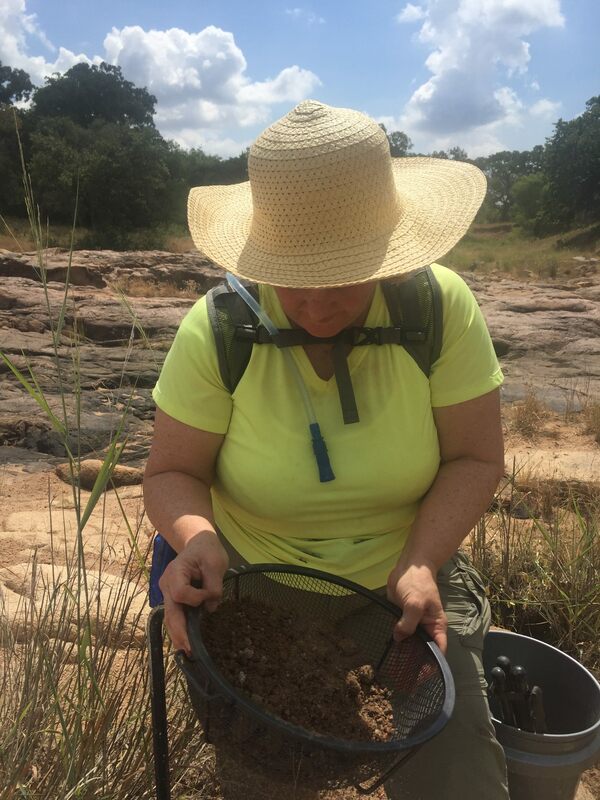 Digging for topaz has been on my wife Cheryl’s list of Texas adventures for quite some time. So, we finally made the time to head to Mason County to try our hand at searching for the Texas State Gem. We set out with the understanding that topaz is hard to find and that we would be content to just share this adventure together. Cheryl arranged for us to dig at the Seaquist Ranch in Mason County. The Seaquist family left their native Sweden at the turn of the twentieth century and settled in Mason County. The family still owns and operates their ranch located a few miles outside of the town of Mason. 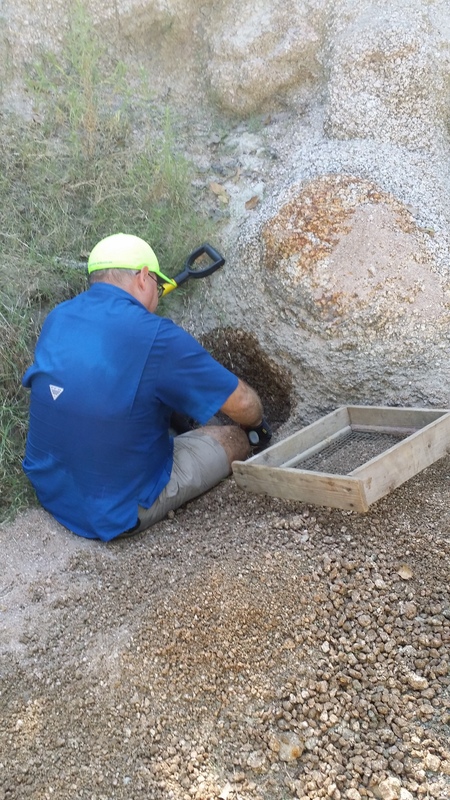 People have enjoyed rock hunting on the Seaquist Ranch since the 1970’s. Our adventure began at eight in the morning. We met Jean Seaquist in the parking lot of the Dairy Queen in Mason, paid our $20 per person fee, and set off for the ranch. 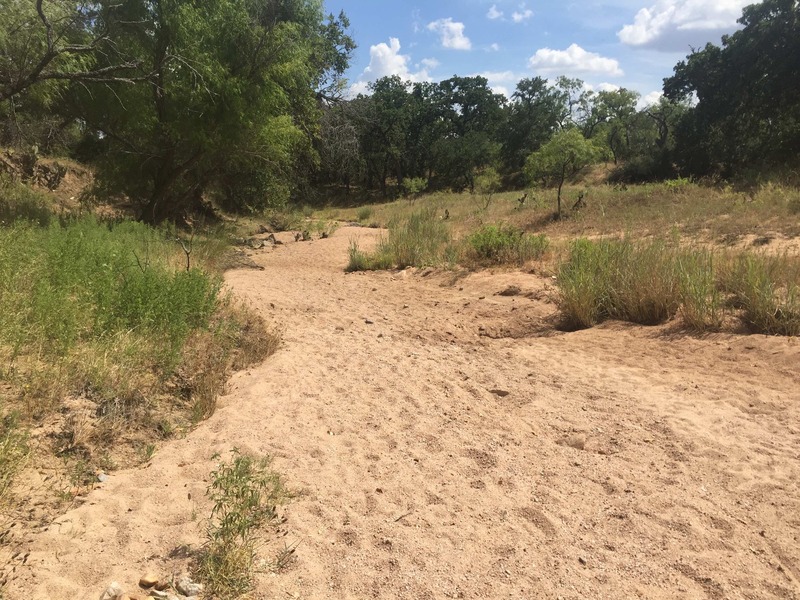 Jean personally escorted us to an area of the ranch known as Topaz Gulch — a creek bed snaking its way through the rugged hills at the base of pink granite outcroppings. After our orientation, we set up our base camp — our canopy, camp chairs, and ice chest filled with fruit, water, and gatorade to beat the heat. And then we collected our gear and set off for the creek bed. 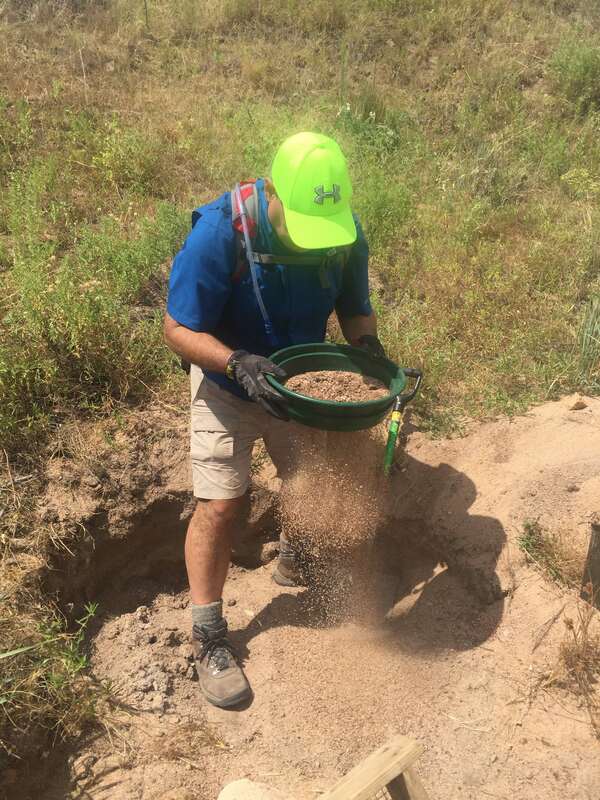 We worked an hour at a time, digging and sifting material in our soil sifters. We found lots of pretty rocks and some that might be topaz. We’ll know more when we’ve had time to clean and examine our haul. All in all, this was a fun and affordable adventure. Like fishing, you have to be prepared to just enjoy the experience regardless of whether you catch anything. The best part of the adventure was the anticipation of finding something and spending lots of quality time together. We both agreed that we’d like to share this adventure again in the future. And that is priceless! 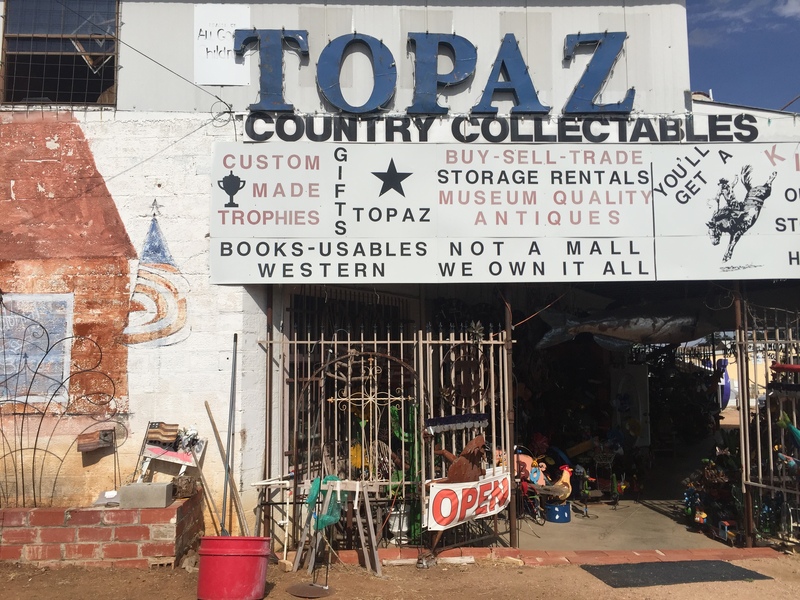 This entry was posted in Interesting Texas Stuff, Road Trips and tagged Mason County, Seaquist Ranch, Topaz Hunting. Bookmark the permalink.